Craig Gillespie could be moving into the House of Mouse. The Hollywood Reporter has detailed that Gillespie, who last directed Margot Robbie in the Academy Award-nominated biographical drama I, Tonya, is in early talks to direct Disney's Cruella. If everything goes as planned and Gillespie boards the project with no problems, he will step into the post previously occupied by Mozart of the Jungle co-creator Alex Timbers, who exited as the director of Cruella following conflicts in his packed schedule, which has him tied to the forthcoming Broadway productions Moulin Rouge and Beetlejuice. Billed as a live-action take on the famous villainess who first appeared in Dodie Smith's 1956 novel The Hundred and One Dalmatians, the film has Emma Stone attached to play a young Cruella de Vil. Cruella is said to take place in the early 1980s, carry a "punk vibe," and tell the puppy-hating, fur-loving character's origin story. Stone will follow in the footsteps of Glenn Close, who portrayed Cruella de Vil in the John Hughes-produced live-action film from 1996. Cruella has been in development at Disney for some time now, as the idea first came into existence in 2013. Back then, Disney hired The Devil Wears Prada scribe Aline Brosh McKenna to write the film's script and produce the project, and tapped Andrew Gunn to serve as a second producer alongside McKenna. 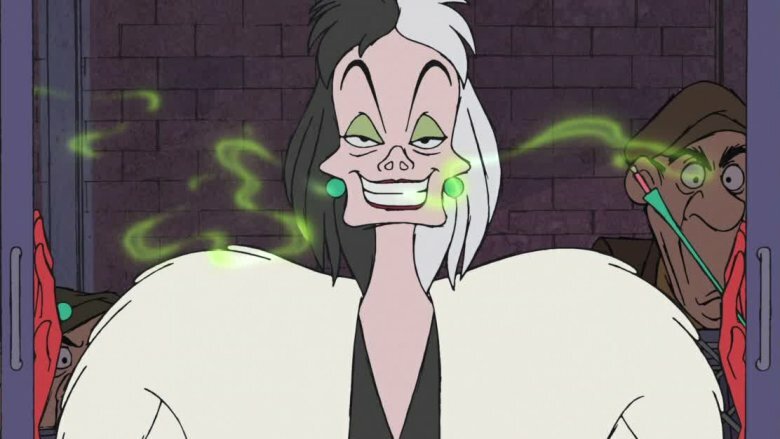 Three years later, the Mouse House secured Timbers as the director of Cruella, and Stone's name cropped up in connection to the lead role. Since then, Kelly Marcel (Saving Mr. Banks, Fifty Shades of Grey) and Steve Zissis (Togetherness) have boarded to co-write the script, and Marc Platt and Kristin Burr have joined as producers. It's unclear how much of McKenna's original story will survive, but we're hoping a good portion of it has, since she did some fantastic work with The Devil Wears Prada. A Cruella de Vil origin story movie may seem unnecessary to some, but it sounds like it's full steam ahead for the project. And really, there's no stopping Disney's live-action adaptation train from chugging down the miles-long track the company has laid out. Disney has already delivered several live-action takes on classic animated films in the past, with many more like The Lion King and Dumbo to come in the next few years. What seems different about Cruella, though, is that the film focuses on just one person — Cruella, of course — and aims to explain exactly how she became the evil character fans know and fear. Stone, an Oscar-winner herself, is sure to bring something unique to Cruella, and might even help audiences see her in a new light — much like Angelina Jolie did with the title character in Disney's Maleficent. Check back with Looper for more details on Cruella as they become available.